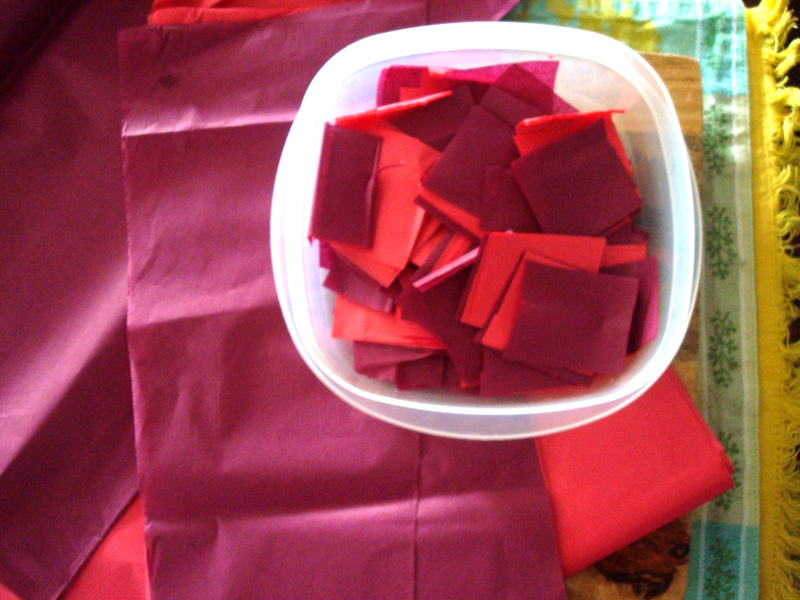 This is a project Gemma and I did on Valentines day, tissue paper votives, but it could be done anytime with different color schemes. Super simple but requires a little mommy help because of the glass. 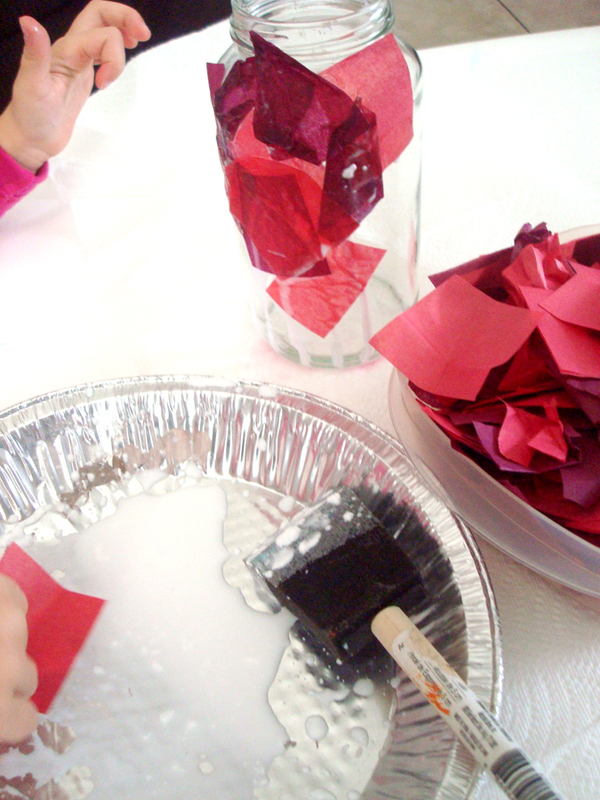 We used small tissue paper squares, empty, clean pasta sauce jars, mod podge, & a foam brush. 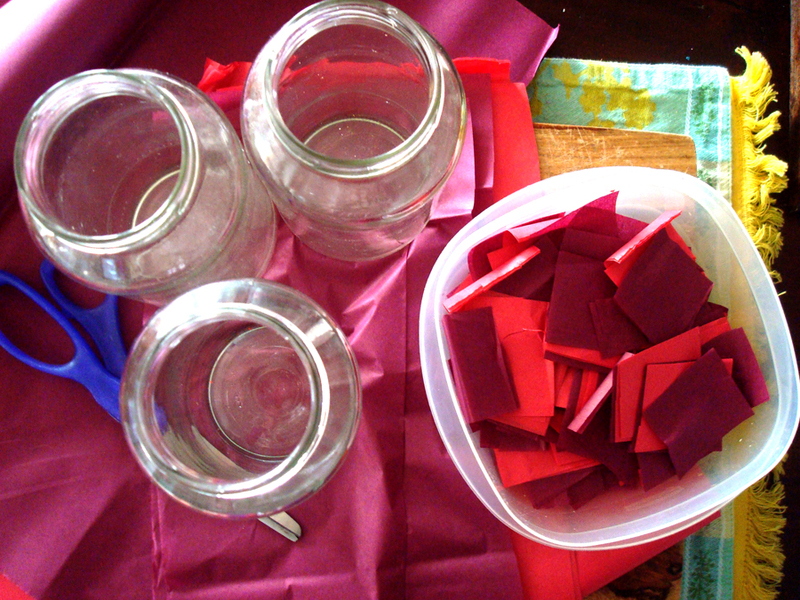 I let Gemma dip each piece in and stick it to the jar to create her own pattern. 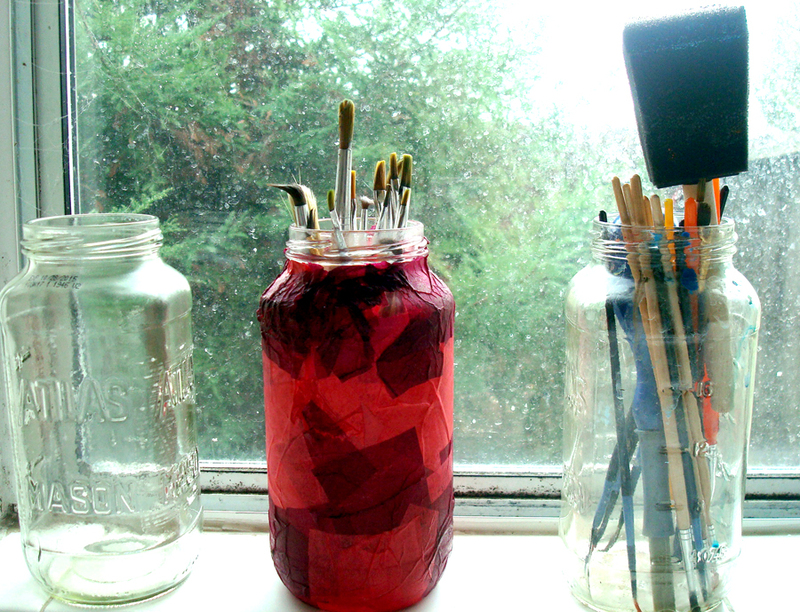 We also used the foam brush intermittently to keep the whole jar coated. Simply dip and stick and then make one last final coat to seal it all. 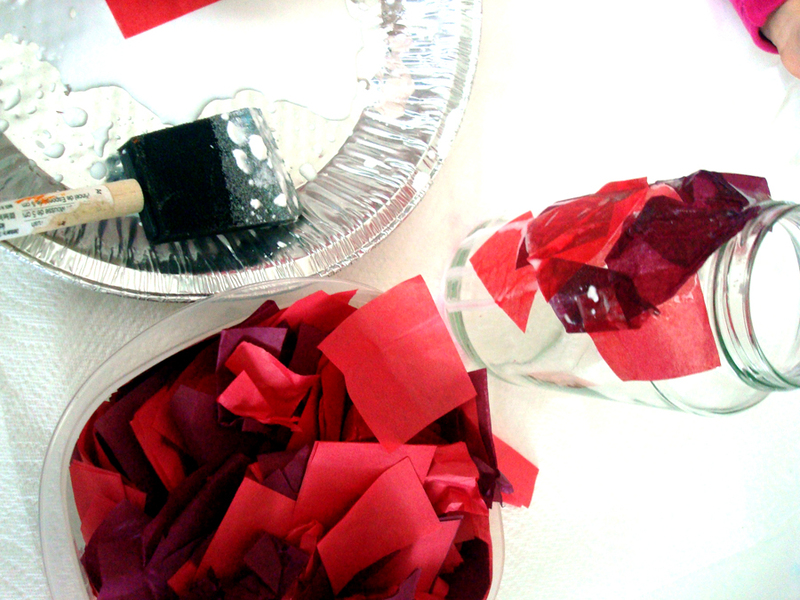 These were intended to be tissue paper votives but ours turned into a paintbrush holder for now because out of all the candles I had, none fit! We’ll definitely be making more in the near future, Gemma loved this project and the result is beautiful.